A maintenance visit includes a visual inspection of all the bits and pieces that make up the mechanisms of your door as well as a safety test to make sure nothing has escaped us. We look at your opener, tracks, rollers, panels, springs, pulleys, cables, and everything else to be sure that no matter the part, you're covered for the upcoming year. Our decades of experience allow us to see worn parts that may not be immediately noticeable to you. We make sure that your springs are balanced to prevent uneven wear, and we carefully assess the alignment of your door to prevent unnecessary strain on your opener, springs, or rollers. Garage door maintenance checks can catch failing parts before they become an issue, like motors that are beginning to burn out. We also help you keep your door rust-free, preventing fragile springs or warped tracks. Trust our technicians to keep your home or business running smoothly, without interruptions from a broken door. Broken garage doors can be more than a nuisance - they can be dangerous depending on the broken part and what it does to the door. Safety tests allow us to correct anything that may be worn out or failing before you have serious problems due to a broken part. Good maintenance is all about safety, and allowing the experts to find and correct minor repair issues can save you from larger issues in the future. Let us help you stay safe and worry-free with the knowledge that your garage door maintenance is up to date. Our repair technicians are true professionals when it comes to maintaining your door. Let Garage Door Repair Highland handle your annual inspection and keep you worry-free. Call now to set up your visit. 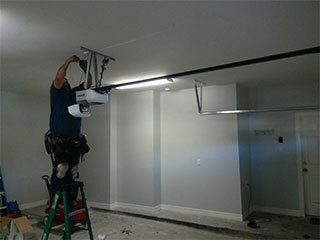 Garage Door Repair Highland is the team to call whenever you have a problem with your automatic door. Finding a good Utah-based garage door service company near you can be hard, but luckily, you can stop looking. With friendly and knowledgeable technicians, we'll keep your automatic overhead door functioning like new for years and years. We also have a wide range of new garage door opener models to suit any need and budget. Call our service hotline to get in touch with us today! Thank you for choosing our company! Feel free to browse our website for more information in the meantime. Our team at Garage Door Repair Highland is at your service any time!